Just as the name indicates, this method uses a combination of heat and pressure to apply either vinyl or digital graphics to apparel. When using vinyl, the machine cuts out the lettering and graphics which are then applied onto the apparel item. On the other hand, when using the digital method, the design is digitally printed onto heat transfer material. When using screen printing, actual screens are cut into stencils that will be used for the designs. Once the design is ready to be applied, the ink is spread over the stencils onto the apparel item. Because only one ink color can be used per screen, screen printing often times involves several more steps than heat pressing. Each color requires the use of a different screen. So if you have a multiple color graphic, the process will take longer because of the use of multiple screens. Wondering which option you should choose for your apparel? It all comes down to your preference and what your design looks like! 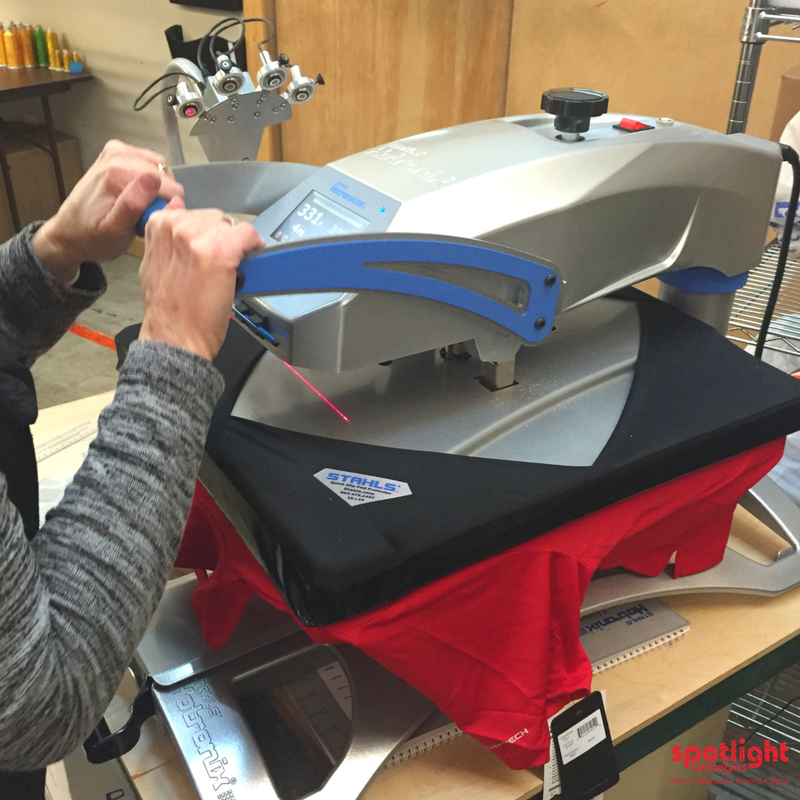 Click HERE to learn about additional pros and cons to heat pressing vs screen printing. Still not sure which is best for your apparel? Then, give us a call and let us help you decide!